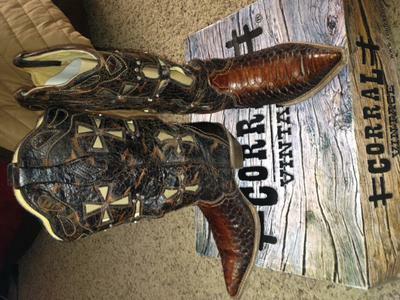 Python Woman's Boots for SALE! I have a lightly worn pair of python skin cowboy boots. They're Corral brand and are size 9.5 but can fit a 9. They were given to me as a gift but I've only worn them a couple times. They're beautiful and still in original packaging. They need a good set of feet :) If interested e-mail me please!